support for the historic 2017 U.S. Senate Special Election. Mr. Brown has held CIO and CISO executive positions with First Tennessee Bank, WestStar (J.G. and served as a Managing Partner of RedWolf Cybersecurity Group, LLC. elected President Jean Bertrand Aristide. and established a first-of-its-kind U.S. Army Theatre Cyber Security Operations Center in East Asia. modernize the U.S. Army’s, XVIII Airborne Corps’ IT capabilities. Bill is serving as senior advisor for the System Wide Information Management (SWIM) National Airspace System Identity and Access Management Program. He has over 40 years of automation, communication, navigation, surveillance and Air traffic control engineering experience - the last 18 years in security engineering. Bill has served in managerial and leadership roles in various FAA organizations and several companies in the private sector. He is a 2009 graduate of the National Defense University Chief Information Security Officer Program. He has been a Certified Information Systems Security Professional since 2000. In 2012 and 2013, He supported the Joint Planning and Development Office (JPDO) NextGen Federated Identity Credentialing and Access Management Study Team. 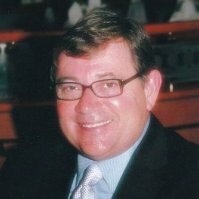 Bill served as Manager of the Maintenance Control Center Processor/ Maintenance Management Console project for FAA and managed the Centralized Performance Monitoring System study for Transport Canada, which documented the strategic and technical framework for the reduction of maintenance costs, and real-time monitoring of Air Navigation Services equipment within Canada. He also served as FAA project manager for the collaborative development by FAA and Eurocontrol of a set radar analysis tools. r. Christopher Yaw is a Senior Solutions Architect at Northrop Grumman with over 30 years of experience in the technical computing space. Over his varied career, he has championed adoption of internet services over hybrid fiber/coax networks, deployed broadband cellular networks globally, and performed in lead technical and managerial positions for DoD, federal, state, and local programs. Mr. Yaw is currently responsible for solution development of Northrop Grumman’s mobile platforms, Secure Networking capabilities, and Identity, Credential, and Access Management (ICAM) initiatives for human, machine, and IoT devices in support of Civil Security. David will moderate this year's “Industry Initiatives in the Ever-changing Cyber World” panel. David Almeida is Director, ATM Services at LS Technologies, LLC. David has nearly 25 years in providing technical and project leadership experience implementing next generation technology, in Command & Control (C2) and Operations Support Systems, and leading modernization projects in mission critical environments. David led NextGen pursuits, providing the vision that forged the FAA’s SWIM architecture as a network-centric model to enterprise-wide information sharing (SWIM), information integration, weather, and flight information systems. A recognized industry expert, David is providing technical and operational expertise in defining the role of SWIM in ATM, and is literally helping to “write the book” on aviation information management as the industry designate member to ICCAIA for ICAO’s Information Management Panel (IMP). He has supported the Collaborative Decision Making (CDM) Working Group, supports industry consortiums, and is a frequent speaker on NextGen aviation topics. David has authored articles and presented papers on applying innovative C2 technologies for ATM applications. In his role, David leads LST efforts in aligning business operations and IT to business strategy and securely integrating technology into operations. David supports initiatives for the FAA SWIM Program, NextGen modernization 4DT demonstrations, international SWIM efforts and provides strategic direction in delivering ATM Services, as LST extends its successful vision of excellence and commitment to customer service. David holds a BS & MBA from the University of Central Florida, PMP designation, and completed Executive Leadership and Product Design/Development programs at UVA’s Darden School, and Northwestern’s Kellogg Business School. John N. Carbone currently works at Forcepoint, Global Governments and Critical Infrastructure. John performs research in Artificial Intelligence, Cognitive Science, Artificial Psychology, Multi- and Trans- Disciplinary Engineering, Computer Engineering, Embedded Systems, Cyber Security, Biosystems Engineering and Biomedical Engineering. A current project is 'Prosthetic Improvement using Artificially Intelligent learning methodologies'. Imran Karimi is a senior security consultant for Lunarline Inc. Imran has a dynamic military background with more than 10 years of experience in Information Technology with a focus on security. Imran has provided support to various government agencies including Department of Defense (DoD), Department of Transportation (DOT), as well as commercial agencies such as Amazon, Microsoft, Innovative Discovery, Smartronix, and many more. Mr. Karimi served honorably in the United States Marine Corps for a 5 year enlistment while acquiring Information Assurance related skills and gaining invaluable leadership experience. <!--[if gte mso 9]> <o:OfficeDocumentSettings> <o:AllowPNG/> </o:OfficeDocumentSettings> <! [endif]--> <!--[if gte mso 9]> <w:WordDocument> <w:View>Normal</w:View> <w:Zoom>0</w:Zoom> <w:TrackMoves/> <w:TrackFormatting/> <w:PunctuationKerning/> <w:ValidateAgainstSchemas/> <w:SaveIfXMLInvalid>false</w:SaveIfXMLInvalid> <w:IgnoreMixedContent>false</w:IgnoreMixedContent> <w:AlwaysShowPlaceholderText>false</w:AlwaysShowPlaceholderText> <w:DoNotPromoteQF/> <w:LidThemeOther>EN-US</w:LidThemeOther> <w:LidThemeAsian>X-NONE</w:LidThemeAsian> <w:LidThemeComplexScript>X-NONE</w:LidThemeComplexScript> <w:Compatibility> <w:BreakWrappedTables/> <w:SnapToGridInCell/> <w:WrapTextWithPunct/> <w:UseAsianBreakRules/> <w:DontGrowAutofit/> <w:SplitPgBreakAndParaMark/> <w:EnableOpenTypeKerning/> <w:DontFlipMirrorIndents/> <w:OverrideTableStyleHps/> </w:Compatibility> <m:mathPr> <m:mathFont m:val="Cambria Math"/> <m:brkBin m:val="before"/> <m:brkBinSub m:val="&#45;-"/> <m:smallFrac m:val="off"/> <m:dispDef/> <m:lMargin m:val="0"/> <m:rMargin m:val="0"/> <m:defJc m:val="centerGroup"/> <m:wrapIndent m:val="1440"/> <m:intLim m:val="subSup"/> <m:naryLim m:val="undOvr"/> </m:mathPr></w:WordDocument> <! [endif]--><!--[if gte mso 9]> <w:LatentStyles DefLockedState="false" DefUnhideWhenUsed="false" DefSemiHidden="false" DefQFormat="false" DefPriority="99" LatentStyleCount="382"> <w:LsdException Locked="false" Priority="0" QFormat="true" Name="Normal"/> <w:LsdException Locked="false" Priority="9" QFormat="true" Name="heading 1"/> <w:LsdException Locked="false" Priority="9" SemiHidden="true" UnhideWhenUsed="true" QFormat="true" Name="heading 2"/> <w:LsdException Locked="false" Priority="9" SemiHidden="true" UnhideWhenUsed="true" QFormat="true" Name="heading 3"/> <w:LsdException Locked="false" Priority="9" SemiHidden="true" UnhideWhenUsed="true" QFormat="true" Name="heading 4"/> <w:LsdException Locked="false" Priority="9" SemiHidden="true" UnhideWhenUsed="true" QFormat="true" Name="heading 5"/> <w:LsdException Locked="false" Priority="9" SemiHidden="true" UnhideWhenUsed="true" QFormat="true" Name="heading 6"/> <w:LsdException Locked="false" Priority="9" SemiHidden="true" UnhideWhenUsed="true" QFormat="true" Name="heading 7"/> <w:LsdException Locked="false" Priority="9" SemiHidden="true" UnhideWhenUsed="true" QFormat="true" Name="heading 8"/> <w:LsdException Locked="false" Priority="9" SemiHidden="true" UnhideWhenUsed="true" QFormat="true" Name="heading 9"/> <w:LsdException Locked="false" SemiHidden="true" UnhideWhenUsed="true" Name="index 1"/> <w:LsdException Locked="false" SemiHidden="true" UnhideWhenUsed="true" Name="index 2"/> <w:LsdException Locked="false" SemiHidden="true" UnhideWhenUsed="true" Name="index 3"/> <w:LsdException Locked="false" SemiHidden="true" UnhideWhenUsed="true" Name="index 4"/> <w:LsdException Locked="false" SemiHidden="true" UnhideWhenUsed="true" Name="index 5"/> <w:LsdException Locked="false" SemiHidden="true" UnhideWhenUsed="true" Name="index 6"/> <w:LsdException Locked="false" SemiHidden="true" UnhideWhenUsed="true" Name="index 7"/> <w:LsdException Locked="false" SemiHidden="true" UnhideWhenUsed="true" Name="index 8"/> <w:LsdException Locked="false" SemiHidden="true" UnhideWhenUsed="true" Name="index 9"/> <w:LsdException Locked="false" Priority="39" SemiHidden="true" UnhideWhenUsed="true" Name="toc 1"/> <w:LsdException Locked="false" Priority="39" SemiHidden="true" UnhideWhenUsed="true" Name="toc 2"/> <w:LsdException Locked="false" Priority="39" SemiHidden="true" UnhideWhenUsed="true" Name="toc 3"/> <w:LsdException Locked="false" Priority="39" SemiHidden="true" UnhideWhenUsed="true" Name="toc 4"/> <w:LsdException Locked="false" Priority="39" SemiHidden="true" UnhideWhenUsed="true" Name="toc 5"/> <w:LsdException Locked="false" Priority="39" SemiHidden="true" UnhideWhenUsed="true" Name="toc 6"/> <w:LsdException Locked="false" Priority="39" SemiHidden="true" UnhideWhenUsed="true" Name="toc 7"/> <w:LsdException Locked="false" Priority="39" SemiHidden="true" UnhideWhenUsed="true" Name="toc 8"/> <w:LsdException Locked="false" Priority="39" SemiHidden="true" UnhideWhenUsed="true" Name="toc 9"/> <w:LsdException Locked="false" SemiHidden="true" UnhideWhenUsed="true" Name="Normal Indent"/> <w:LsdException Locked="false" SemiHidden="true" UnhideWhenUsed="true" Name="footnote text"/> <w:LsdException Locked="false" SemiHidden="true" UnhideWhenUsed="true" Name="annotation text"/> <w:LsdException Locked="false" SemiHidden="true" UnhideWhenUsed="true" Name="header"/> <w:LsdException Locked="false" SemiHidden="true" UnhideWhenUsed="true" Name="footer"/> <w:LsdException Locked="false" SemiHidden="true" UnhideWhenUsed="true" Name="index heading"/> <w:LsdException Locked="false" Priority="35" SemiHidden="true" UnhideWhenUsed="true" QFormat="true" Name="caption"/> <w:LsdException Locked="false" SemiHidden="true" UnhideWhenUsed="true" Name="table of figures"/> <w:LsdException Locked="false" SemiHidden="true" UnhideWhenUsed="true" Name="envelope address"/> <w:LsdException Locked="false" SemiHidden="true" UnhideWhenUsed="true" Name="envelope return"/> <w:LsdException Locked="false" SemiHidden="true" UnhideWhenUsed="true" Name="footnote reference"/> <w:LsdException Locked="false" SemiHidden="true" UnhideWhenUsed="true" Name="annotation reference"/> <w:LsdException Locked="false" SemiHidden="true" UnhideWhenUsed="true" Name="line number"/> <w:LsdException Locked="false" SemiHidden="true" UnhideWhenUsed="true" Name="page number"/> <w:LsdException Locked="false" SemiHidden="true" UnhideWhenUsed="true" Name="endnote reference"/> <w:LsdException Locked="false" SemiHidden="true" UnhideWhenUsed="true" Name="endnote text"/> <w:LsdException Locked="false" SemiHidden="true" UnhideWhenUsed="true" Name="table of authorities"/> <w:LsdException Locked="false" SemiHidden="true" UnhideWhenUsed="true" Name="macro"/> <w:LsdException Locked="false" SemiHidden="true" UnhideWhenUsed="true" Name="toa heading"/> <w:LsdException Locked="false" SemiHidden="true" UnhideWhenUsed="true" Name="List"/> <w:LsdException Locked="false" SemiHidden="true" UnhideWhenUsed="true" Name="List Bullet"/> <w:LsdException Locked="false" SemiHidden="true" UnhideWhenUsed="true" Name="List Number"/> <w:LsdException Locked="false" SemiHidden="true" UnhideWhenUsed="true" Name="List 2"/> <w:LsdException Locked="false" SemiHidden="true" UnhideWhenUsed="true" Name="List 3"/> <w:LsdException Locked="false" SemiHidden="true" UnhideWhenUsed="true" Name="List 4"/> <w:LsdException Locked="false" SemiHidden="true" UnhideWhenUsed="true" Name="List 5"/> <w:LsdException Locked="false" SemiHidden="true" UnhideWhenUsed="true" Name="List Bullet 2"/> <w:LsdException Locked="false" SemiHidden="true" UnhideWhenUsed="true" Name="List Bullet 3"/> <w:LsdException Locked="false" SemiHidden="true" UnhideWhenUsed="true" Name="List Bullet 4"/> <w:LsdException Locked="false" SemiHidden="true" UnhideWhenUsed="true" Name="List Bullet 5"/> <w:LsdException Locked="false" SemiHidden="true" UnhideWhenUsed="true" Name="List Number 2"/> <w:LsdException Locked="false" SemiHidden="true" UnhideWhenUsed="true" Name="List Number 3"/> <w:LsdException Locked="false" SemiHidden="true" UnhideWhenUsed="true" Name="List Number 4"/> <w:LsdException Locked="false" SemiHidden="true" UnhideWhenUsed="true" Name="List Number 5"/> <w:LsdException Locked="false" Priority="10" QFormat="true" Name="Title"/> <w:LsdException Locked="false" SemiHidden="true" UnhideWhenUsed="true" Name="Closing"/> <w:LsdException Locked="false" SemiHidden="true" UnhideWhenUsed="true" Name="Signature"/> <w:LsdException Locked="false" Priority="1" SemiHidden="true" UnhideWhenUsed="true" Name="Default Paragraph Font"/> <w:LsdException Locked="false" SemiHidden="true" UnhideWhenUsed="true" Name="Body Text"/> <w:LsdException Locked="false" SemiHidden="true" UnhideWhenUsed="true" Name="Body Text Indent"/> <w:LsdException Locked="false" SemiHidden="true" UnhideWhenUsed="true" Name="List Continue"/> <w:LsdException Locked="false" SemiHidden="true" UnhideWhenUsed="true" Name="List Continue 2"/> <w:LsdException Locked="false" SemiHidden="true" UnhideWhenUsed="true" Name="List Continue 3"/> <w:LsdException Locked="false" SemiHidden="true" UnhideWhenUsed="true" Name="List Continue 4"/> <w:LsdException Locked="false" SemiHidden="true" UnhideWhenUsed="true" Name="List Continue 5"/> <w:LsdException Locked="false" SemiHidden="true" UnhideWhenUsed="true" Name="Message Header"/> <w:LsdException Locked="false" Priority="11" QFormat="true" Name="Subtitle"/> <w:LsdException Locked="false" SemiHidden="true" UnhideWhenUsed="true" Name="Salutation"/> <w:LsdException Locked="false" SemiHidden="true" UnhideWhenUsed="true" Name="Date"/> <w:LsdException Locked="false" SemiHidden="true" UnhideWhenUsed="true" Name="Body Text First Indent"/> <w:LsdException Locked="false" SemiHidden="true" UnhideWhenUsed="true" Name="Body Text First Indent 2"/> <w:LsdException Locked="false" SemiHidden="true" UnhideWhenUsed="true" Name="Note Heading"/> <w:LsdException Locked="false" SemiHidden="true" UnhideWhenUsed="true" Name="Body Text 2"/> <w:LsdException Locked="false" SemiHidden="true" UnhideWhenUsed="true" Name="Body Text 3"/> <w:LsdException Locked="false" SemiHidden="true" UnhideWhenUsed="true" Name="Body Text Indent 2"/> <w:LsdException Locked="false" SemiHidden="true" UnhideWhenUsed="true" Name="Body Text Indent 3"/> <w:LsdException Locked="false" SemiHidden="true" UnhideWhenUsed="true" Name="Block Text"/> <w:LsdException Locked="false" SemiHidden="true" UnhideWhenUsed="true" Name="Hyperlink"/> <w:LsdException Locked="false" SemiHidden="true" UnhideWhenUsed="true" Name="FollowedHyperlink"/> <w:LsdException Locked="false" Priority="22" QFormat="true" Name="Strong"/> <w:LsdException Locked="false" Priority="20" QFormat="true" Name="Emphasis"/> <w:LsdException Locked="false" SemiHidden="true" UnhideWhenUsed="true" Name="Document Map"/> <w:LsdException Locked="false" SemiHidden="true" UnhideWhenUsed="true" Name="Plain Text"/> <w:LsdException Locked="false" SemiHidden="true" UnhideWhenUsed="true" Name="E-mail Signature"/> <w:LsdException Locked="false" SemiHidden="true" UnhideWhenUsed="true" Name="HTML Top of Form"/> <w:LsdException Locked="false" SemiHidden="true" UnhideWhenUsed="true" Name="HTML Bottom of Form"/> <w:LsdException Locked="false" SemiHidden="true" UnhideWhenUsed="true" Name="Normal (Web)"/> <w:LsdException Locked="false" SemiHidden="true" UnhideWhenUsed="true" Name="HTML Acronym"/> <w:LsdException Locked="false" SemiHidden="true" UnhideWhenUsed="true" Name="HTML Address"/> <w:LsdException Locked="false" SemiHidden="true" UnhideWhenUsed="true" Name="HTML Cite"/> <w:LsdException Locked="false" SemiHidden="true" UnhideWhenUsed="true" Name="HTML Code"/> <w:LsdException Locked="false" SemiHidden="true" UnhideWhenUsed="true" Name="HTML Definition"/> <w:LsdException Locked="false" SemiHidden="true" UnhideWhenUsed="true" Name="HTML Keyboard"/> <w:LsdException Locked="false" SemiHidden="true" UnhideWhenUsed="true" Name="HTML Preformatted"/> <w:LsdException Locked="false" SemiHidden="true" UnhideWhenUsed="true" Name="HTML Sample"/> <w:LsdException Locked="false" SemiHidden="true" UnhideWhenUsed="true" Name="HTML Typewriter"/> <w:LsdException Locked="false" SemiHidden="true" UnhideWhenUsed="true" Name="HTML Variable"/> <w:LsdException Locked="false" SemiHidden="true" UnhideWhenUsed="true" Name="Normal Table"/> <w:LsdException Locked="false" SemiHidden="true" UnhideWhenUsed="true" Name="annotation subject"/> <w:LsdException Locked="false" SemiHidden="true" UnhideWhenUsed="true" Name="No List"/> <w:LsdException Locked="false" SemiHidden="true" UnhideWhenUsed="true" Name="Outline List 1"/> <w:LsdException Locked="false" SemiHidden="true" UnhideWhenUsed="true" Name="Outline List 2"/> <w:LsdException Locked="false" SemiHidden="true" UnhideWhenUsed="true" Name="Outline List 3"/> <w:LsdException Locked="false" SemiHidden="true" UnhideWhenUsed="true" Name="Table Simple 1"/> <w:LsdException Locked="false" SemiHidden="true" UnhideWhenUsed="true" Name="Table Simple 2"/> <w:LsdException Locked="false" SemiHidden="true" UnhideWhenUsed="true" Name="Table Simple 3"/> <w:LsdException Locked="false" SemiHidden="true" UnhideWhenUsed="true" Name="Table Classic 1"/> <w:LsdException Locked="false" SemiHidden="true" UnhideWhenUsed="true" Name="Table Classic 2"/> <w:LsdException Locked="false" SemiHidden="true" UnhideWhenUsed="true" Name="Table Classic 3"/> <w:LsdException Locked="false" SemiHidden="true" UnhideWhenUsed="true" Name="Table Classic 4"/> <w:LsdException Locked="false" SemiHidden="true" UnhideWhenUsed="true" Name="Table Colorful 1"/> <w:LsdException Locked="false" SemiHidden="true" UnhideWhenUsed="true" Name="Table Colorful 2"/> <w:LsdException Locked="false" SemiHidden="true" UnhideWhenUsed="true" Name="Table Colorful 3"/> <w:LsdException Locked="false" SemiHidden="true" UnhideWhenUsed="true" Name="Table Columns 1"/> <w:LsdException Locked="false" SemiHidden="true" UnhideWhenUsed="true" Name="Table Columns 2"/> <w:LsdException Locked="false" SemiHidden="true" UnhideWhenUsed="true" Name="Table Columns 3"/> <w:LsdException Locked="false" SemiHidden="true" UnhideWhenUsed="true" Name="Table Columns 4"/> <w:LsdException Locked="false" SemiHidden="true" UnhideWhenUsed="true" Name="Table Columns 5"/> <w:LsdException Locked="false" SemiHidden="true" UnhideWhenUsed="true" Name="Table Grid 1"/> <w:LsdException Locked="false" SemiHidden="true" UnhideWhenUsed="true" Name="Table Grid 2"/> <w:LsdException Locked="false" SemiHidden="true" UnhideWhenUsed="true" Name="Table Grid 3"/> <w:LsdException Locked="false" SemiHidden="true" UnhideWhenUsed="true" Name="Table Grid 4"/> <w:LsdException Locked="false" SemiHidden="true" UnhideWhenUsed="true" Name="Table Grid 5"/> <w:LsdException Locked="false" SemiHidden="true" UnhideWhenUsed="true" Name="Table Grid 6"/> <w:LsdException Locked="false" SemiHidden="true" UnhideWhenUsed="true" Name="Table Grid 7"/> <w:LsdException Locked="false" SemiHidden="true" UnhideWhenUsed="true" Name="Table Grid 8"/> <w:LsdException Locked="false" SemiHidden="true" UnhideWhenUsed="true" Name="Table List 1"/> <w:LsdException Locked="false" SemiHidden="true" UnhideWhenUsed="true" Name="Table List 2"/> <w:LsdException Locked="false" SemiHidden="true" UnhideWhenUsed="true" Name="Table List 3"/> <w:LsdException Locked="false" SemiHidden="true" UnhideWhenUsed="true" Name="Table List 4"/> <w:LsdException Locked="false" SemiHidden="true" UnhideWhenUsed="true" Name="Table List 5"/> <w:LsdException Locked="false" SemiHidden="true" UnhideWhenUsed="true" Name="Table List 6"/> <w:LsdException Locked="false" SemiHidden="true" UnhideWhenUsed="true" Name="Table List 7"/> <w:LsdException Locked="false" SemiHidden="true" UnhideWhenUsed="true" Name="Table List 8"/> <w:LsdException Locked="false" SemiHidden="true" UnhideWhenUsed="true" Name="Table 3D effects 1"/> <w:LsdException Locked="false" SemiHidden="true" UnhideWhenUsed="true" Name="Table 3D effects 2"/> <w:LsdException Locked="false" SemiHidden="true" UnhideWhenUsed="true" Name="Table 3D effects 3"/> <w:LsdException Locked="false" SemiHidden="true" UnhideWhenUsed="true" Name="Table Contemporary"/> <w:LsdException Locked="false" SemiHidden="true" UnhideWhenUsed="true" Name="Table Elegant"/> <w:LsdException Locked="false" SemiHidden="true" UnhideWhenUsed="true" Name="Table Professional"/> <w:LsdException Locked="false" SemiHidden="true" UnhideWhenUsed="true" Name="Table Subtle 1"/> <w:LsdException Locked="false" SemiHidden="true" UnhideWhenUsed="true" Name="Table Subtle 2"/> <w:LsdException Locked="false" SemiHidden="true" UnhideWhenUsed="true" Name="Table Web 1"/> <w:LsdException Locked="false" SemiHidden="true" UnhideWhenUsed="true" Name="Table Web 2"/> <w:LsdException Locked="false" SemiHidden="true" UnhideWhenUsed="true" Name="Table Web 3"/> <w:LsdException Locked="false" SemiHidden="true" UnhideWhenUsed="true" Name="Balloon Text"/> <w:LsdException Locked="false" Priority="39" Name="Table Grid"/> <w:LsdException Locked="false" SemiHidden="true" UnhideWhenUsed="true" Name="Table Theme"/> <w:LsdException Locked="false" SemiHidden="true" UnhideWhenUsed="true" Name="Note Level 1"/> <w:LsdException Locked="false" SemiHidden="true" UnhideWhenUsed="true" Name="Note Level 2"/> <w:LsdException Locked="false" SemiHidden="true" UnhideWhenUsed="true" Name="Note Level 3"/> <w:LsdException Locked="false" SemiHidden="true" UnhideWhenUsed="true" Name="Note Level 4"/> <w:LsdException Locked="false" SemiHidden="true" UnhideWhenUsed="true" Name="Note Level 5"/> <w:LsdException Locked="false" SemiHidden="true" UnhideWhenUsed="true" Name="Note Level 6"/> <w:LsdException Locked="false" SemiHidden="true" UnhideWhenUsed="true" Name="Note Level 7"/> <w:LsdException Locked="false" SemiHidden="true" UnhideWhenUsed="true" Name="Note Level 8"/> <w:LsdException Locked="false" SemiHidden="true" UnhideWhenUsed="true" Name="Note Level 9"/> <w:LsdException Locked="false" SemiHidden="true" Name="Placeholder Text"/> <w:LsdException Locked="false" Priority="1" QFormat="true" Name="No Spacing"/> <w:LsdException Locked="false" Priority="60" Name="Light Shading"/> <w:LsdException Locked="false" Priority="61" Name="Light List"/> <w:LsdException Locked="false" Priority="62" Name="Light Grid"/> <w:LsdException Locked="false" Priority="63" Name="Medium Shading 1"/> <w:LsdException Locked="false" Priority="64" Name="Medium Shading 2"/> <w:LsdException Locked="false" Priority="65" Name="Medium List 1"/> <w:LsdException Locked="false" Priority="66" Name="Medium List 2"/> <w:LsdException Locked="false" Priority="67" Name="Medium Grid 1"/> <w:LsdException Locked="false" Priority="68" Name="Medium Grid 2"/> <w:LsdException Locked="false" Priority="69" Name="Medium Grid 3"/> <w:LsdException Locked="false" Priority="70" Name="Dark List"/> <w:LsdException Locked="false" Priority="71" Name="Colorful Shading"/> <w:LsdException Locked="false" Priority="72" Name="Colorful List"/> <w:LsdException Locked="false" Priority="73" Name="Colorful Grid"/> <w:LsdException Locked="false" Priority="60" Name="Light Shading Accent 1"/> <w:LsdException Locked="false" Priority="61" Name="Light List Accent 1"/> <w:LsdException Locked="false" Priority="62" Name="Light Grid Accent 1"/> <w:LsdException Locked="false" Priority="63" Name="Medium Shading 1 Accent 1"/> <w:LsdException Locked="false" Priority="64" Name="Medium Shading 2 Accent 1"/> <w:LsdException Locked="false" Priority="65" Name="Medium List 1 Accent 1"/> <w:LsdException Locked="false" SemiHidden="true" Name="Revision"/> <w:LsdException Locked="false" Priority="34" QFormat="true" Name="List Paragraph"/> <w:LsdException Locked="false" Priority="29" QFormat="true" Name="Quote"/> <w:LsdException Locked="false" Priority="30" QFormat="true" Name="Intense Quote"/> <w:LsdException Locked="false" Priority="66" Name="Medium List 2 Accent 1"/> <w:LsdException Locked="false" Priority="67" Name="Medium Grid 1 Accent 1"/> <w:LsdException Locked="false" Priority="68" Name="Medium Grid 2 Accent 1"/> <w:LsdException Locked="false" Priority="69" Name="Medium Grid 3 Accent 1"/> <w:LsdException Locked="false" Priority="70" Name="Dark List Accent 1"/> <w:LsdException Locked="false" Priority="71" Name="Colorful Shading Accent 1"/> <w:LsdException Locked="false" Priority="72" Name="Colorful List Accent 1"/> <w:LsdException Locked="false" Priority="73" Name="Colorful Grid Accent 1"/> <w:LsdException Locked="false" Priority="60" Name="Light Shading Accent 2"/> <w:LsdException Locked="false" Priority="61" Name="Light List Accent 2"/> <w:LsdException Locked="false" Priority="62" Name="Light Grid Accent 2"/> <w:LsdException Locked="false" Priority="63" Name="Medium Shading 1 Accent 2"/> <w:LsdException Locked="false" Priority="64" Name="Medium Shading 2 Accent 2"/> <w:LsdException Locked="false" Priority="65" Name="Medium List 1 Accent 2"/> <w:LsdException Locked="false" Priority="66" Name="Medium List 2 Accent 2"/> <w:LsdException Locked="false" Priority="67" Name="Medium Grid 1 Accent 2"/> <w:LsdException Locked="false" Priority="68" Name="Medium Grid 2 Accent 2"/> <w:LsdException Locked="false" Priority="69" Name="Medium Grid 3 Accent 2"/> <w:LsdException Locked="false" Priority="70" Name="Dark List Accent 2"/> <w:LsdException Locked="false" Priority="71" Name="Colorful Shading Accent 2"/> <w:LsdException Locked="false" Priority="72" Name="Colorful List Accent 2"/> <w:LsdException Locked="false" Priority="73" Name="Colorful Grid Accent 2"/> <w:LsdException Locked="false" Priority="60" Name="Light Shading Accent 3"/> <w:LsdException Locked="false" Priority="61" Name="Light List Accent 3"/> <w:LsdException Locked="false" Priority="62" Name="Light Grid Accent 3"/> <w:LsdException Locked="false" Priority="63" Name="Medium Shading 1 Accent 3"/> <w:LsdException Locked="false" Priority="64" Name="Medium Shading 2 Accent 3"/> <w:LsdException Locked="false" Priority="65" Name="Medium List 1 Accent 3"/> <w:LsdException Locked="false" Priority="66" Name="Medium List 2 Accent 3"/> <w:LsdException Locked="false" Priority="67" Name="Medium Grid 1 Accent 3"/> <w:LsdException Locked="false" Priority="68" Name="Medium Grid 2 Accent 3"/> <w:LsdException Locked="false" Priority="69" Name="Medium Grid 3 Accent 3"/> <w:LsdException Locked="false" Priority="70" Name="Dark List Accent 3"/> <w:LsdException Locked="false" Priority="71" Name="Colorful Shading Accent 3"/> <w:LsdException Locked="false" Priority="72" Name="Colorful List Accent 3"/> <w:LsdException Locked="false" Priority="73" Name="Colorful Grid Accent 3"/> <w:LsdException Locked="false" Priority="60" Name="Light Shading Accent 4"/> <w:LsdException Locked="false" Priority="61" Name="Light List Accent 4"/> <w:LsdException Locked="false" Priority="62" Name="Light Grid Accent 4"/> <w:LsdException Locked="false" Priority="63" Name="Medium Shading 1 Accent 4"/> <w:LsdException Locked="false" Priority="64" Name="Medium Shading 2 Accent 4"/> <w:LsdException Locked="false" Priority="65" Name="Medium List 1 Accent 4"/> <w:LsdException Locked="false" Priority="66" Name="Medium List 2 Accent 4"/> <w:LsdException Locked="false" Priority="67" Name="Medium Grid 1 Accent 4"/> <w:LsdException Locked="false" Priority="68" Name="Medium Grid 2 Accent 4"/> <w:LsdException Locked="false" Priority="69" Name="Medium Grid 3 Accent 4"/> <w:LsdException Locked="false" Priority="70" Name="Dark List Accent 4"/> <w:LsdException Locked="false" Priority="71" Name="Colorful Shading Accent 4"/> <w:LsdException Locked="false" Priority="72" Name="Colorful List Accent 4"/> <w:LsdException Locked="false" Priority="73" Name="Colorful Grid Accent 4"/> <w:LsdException Locked="false" Priority="60" Name="Light Shading Accent 5"/> <w:LsdException Locked="false" Priority="61" Name="Light List Accent 5"/> <w:LsdException Locked="false" Priority="62" Name="Light Grid Accent 5"/> <w:LsdException Locked="false" Priority="63" Name="Medium Shading 1 Accent 5"/> <w:LsdException Locked="false" Priority="64" Name="Medium Shading 2 Accent 5"/> <w:LsdException Locked="false" Priority="65" Name="Medium List 1 Accent 5"/> <w:LsdException Locked="false" Priority="66" Name="Medium List 2 Accent 5"/> <w:LsdException Locked="false" Priority="67" Name="Medium Grid 1 Accent 5"/> <w:LsdException Locked="false" Priority="68" Name="Medium Grid 2 Accent 5"/> <w:LsdException Locked="false" Priority="69" Name="Medium Grid 3 Accent 5"/> <w:LsdException Locked="false" Priority="70" Name="Dark List Accent 5"/> <w:LsdException Locked="false" Priority="71" Name="Colorful Shading Accent 5"/> <w:LsdException Locked="false" Priority="72" Name="Colorful List Accent 5"/> <w:LsdException Locked="false" Priority="73" Name="Colorful Grid Accent 5"/> <w:LsdException Locked="false" Priority="60" Name="Light Shading Accent 6"/> <w:LsdException Locked="false" Priority="61" Name="Light List Accent 6"/> <w:LsdException Locked="false" Priority="62" Name="Light Grid Accent 6"/> <w:LsdException Locked="false" Priority="63" Name="Medium Shading 1 Accent 6"/> <w:LsdException Locked="false" Priority="64" Name="Medium Shading 2 Accent 6"/> <w:LsdException Locked="false" Priority="65" Name="Medium List 1 Accent 6"/> <w:LsdException Locked="false" Priority="66" Name="Medium List 2 Accent 6"/> <w:LsdException Locked="false" Priority="67" Name="Medium Grid 1 Accent 6"/> <w:LsdException Locked="false" Priority="68" Name="Medium Grid 2 Accent 6"/> <w:LsdException Locked="false" Priority="69" Name="Medium Grid 3 Accent 6"/> <w:LsdException Locked="false" Priority="70" Name="Dark List Accent 6"/> <w:LsdException Locked="false" Priority="71" Name="Colorful Shading Accent 6"/> <w:LsdException Locked="false" Priority="72" Name="Colorful List Accent 6"/> <w:LsdException Locked="false" Priority="73" Name="Colorful Grid Accent 6"/> <w:LsdException Locked="false" Priority="19" QFormat="true" Name="Subtle Emphasis"/> <w:LsdException Locked="false" Priority="21" QFormat="true" Name="Intense Emphasis"/> <w:LsdException Locked="false" Priority="31" QFormat="true" Name="Subtle Reference"/> <w:LsdException Locked="false" Priority="32" QFormat="true" Name="Intense Reference"/> <w:LsdException Locked="false" Priority="33" QFormat="true" Name="Book Title"/> <w:LsdException Locked="false" Priority="37" SemiHidden="true" UnhideWhenUsed="true" Name="Bibliography"/> <w:LsdException Locked="false" Priority="39" SemiHidden="true" UnhideWhenUsed="true" QFormat="true" Name="TOC Heading"/> <w:LsdException Locked="false" Priority="41" Name="Plain Table 1"/> <w:LsdException Locked="false" Priority="42" Name="Plain Table 2"/> <w:LsdException Locked="false" Priority="43" Name="Plain Table 3"/> <w:LsdException Locked="false" Priority="44" Name="Plain Table 4"/> <w:LsdException Locked="false" Priority="45" Name="Plain Table 5"/> <w:LsdException Locked="false" Priority="40" Name="Grid Table Light"/> <w:LsdException Locked="false" Priority="46" Name="Grid Table 1 Light"/> <w:LsdException Locked="false" Priority="47" Name="Grid Table 2"/> <w:LsdException Locked="false" Priority="48" Name="Grid Table 3"/> <w:LsdException Locked="false" Priority="49" Name="Grid Table 4"/> <w:LsdException Locked="false" Priority="50" Name="Grid Table 5 Dark"/> <w:LsdException Locked="false" Priority="51" Name="Grid Table 6 Colorful"/> <w:LsdException Locked="false" Priority="52" Name="Grid Table 7 Colorful"/> <w:LsdException Locked="false" Priority="46" Name="Grid Table 1 Light Accent 1"/> <w:LsdException Locked="false" Priority="47" Name="Grid Table 2 Accent 1"/> <w:LsdException Locked="false" Priority="48" Name="Grid Table 3 Accent 1"/> <w:LsdException Locked="false" Priority="49" Name="Grid Table 4 Accent 1"/> <w:LsdException Locked="false" Priority="50" Name="Grid Table 5 Dark Accent 1"/> <w:LsdException Locked="false" Priority="51" Name="Grid Table 6 Colorful Accent 1"/> <w:LsdException Locked="false" Priority="52" Name="Grid Table 7 Colorful Accent 1"/> <w:LsdException Locked="false" Priority="46" Name="Grid Table 1 Light Accent 2"/> <w:LsdException Locked="false" Priority="47" Name="Grid Table 2 Accent 2"/> <w:LsdException Locked="false" Priority="48" Name="Grid Table 3 Accent 2"/> <w:LsdException Locked="false" Priority="49" Name="Grid Table 4 Accent 2"/> <w:LsdException Locked="false" Priority="50" Name="Grid Table 5 Dark Accent 2"/> <w:LsdException Locked="false" Priority="51" Name="Grid Table 6 Colorful Accent 2"/> <w:LsdException Locked="false" Priority="52" Name="Grid Table 7 Colorful Accent 2"/> <w:LsdException Locked="false" Priority="46" Name="Grid Table 1 Light Accent 3"/> <w:LsdException Locked="false" Priority="47" Name="Grid Table 2 Accent 3"/> <w:LsdException Locked="false" Priority="48" Name="Grid Table 3 Accent 3"/> <w:LsdException Locked="false" Priority="49" Name="Grid Table 4 Accent 3"/> <w:LsdException Locked="false" Priority="50" Name="Grid Table 5 Dark Accent 3"/> <w:LsdException Locked="false" Priority="51" Name="Grid Table 6 Colorful Accent 3"/> <w:LsdException Locked="false" Priority="52" Name="Grid Table 7 Colorful Accent 3"/> <w:LsdException Locked="false" Priority="46" Name="Grid Table 1 Light Accent 4"/> <w:LsdException Locked="false" Priority="47" Name="Grid Table 2 Accent 4"/> <w:LsdException Locked="false" Priority="48" Name="Grid Table 3 Accent 4"/> <w:LsdException Locked="false" Priority="49" Name="Grid Table 4 Accent 4"/> <w:LsdException Locked="false" Priority="50" Name="Grid Table 5 Dark Accent 4"/> <w:LsdException Locked="false" Priority="51" Name="Grid Table 6 Colorful Accent 4"/> <w:LsdException Locked="false" Priority="52" Name="Grid Table 7 Colorful Accent 4"/> <w:LsdException Locked="false" Priority="46" Name="Grid Table 1 Light Accent 5"/> <w:LsdException Locked="false" Priority="47" Name="Grid Table 2 Accent 5"/> <w:LsdException Locked="false" Priority="48" Name="Grid Table 3 Accent 5"/> <w:LsdException Locked="false" Priority="49" Name="Grid Table 4 Accent 5"/> <w:LsdException Locked="false" Priority="50" Name="Grid Table 5 Dark Accent 5"/> <w:LsdException Locked="false" Priority="51" Name="Grid Table 6 Colorful Accent 5"/> <w:LsdException Locked="false" Priority="52" Name="Grid Table 7 Colorful Accent 5"/> <w:LsdException Locked="false" Priority="46" Name="Grid Table 1 Light Accent 6"/> <w:LsdException Locked="false" Priority="47" Name="Grid Table 2 Accent 6"/> <w:LsdException Locked="false" Priority="48" Name="Grid Table 3 Accent 6"/> <w:LsdException Locked="false" Priority="49" Name="Grid Table 4 Accent 6"/> <w:LsdException Locked="false" Priority="50" Name="Grid Table 5 Dark Accent 6"/> <w:LsdException Locked="false" Priority="51" Name="Grid Table 6 Colorful Accent 6"/> <w:LsdException Locked="false" Priority="52" Name="Grid Table 7 Colorful Accent 6"/> <w:LsdException Locked="false" Priority="46" Name="List Table 1 Light"/> <w:LsdException Locked="false" Priority="47" Name="List Table 2"/> <w:LsdException Locked="false" Priority="48" Name="List Table 3"/> <w:LsdException Locked="false" Priority="49" Name="List Table 4"/> <w:LsdException Locked="false" Priority="50" Name="List Table 5 Dark"/> <w:LsdException Locked="false" Priority="51" Name="List Table 6 Colorful"/> <w:LsdException Locked="false" Priority="52" Name="List Table 7 Colorful"/> <w:LsdException Locked="false" Priority="46" Name="List Table 1 Light Accent 1"/> <w:LsdException Locked="false" Priority="47" Name="List Table 2 Accent 1"/> <w:LsdException Locked="false" Priority="48" Name="List Table 3 Accent 1"/> <w:LsdException Locked="false" Priority="49" Name="List Table 4 Accent 1"/> <w:LsdException Locked="false" Priority="50" Name="List Table 5 Dark Accent 1"/> <w:LsdException Locked="false" Priority="51" Name="List Table 6 Colorful Accent 1"/> <w:LsdException Locked="false" Priority="52" Name="List Table 7 Colorful Accent 1"/> <w:LsdException Locked="false" Priority="46" Name="List Table 1 Light Accent 2"/> <w:LsdException Locked="false" Priority="47" Name="List Table 2 Accent 2"/> <w:LsdException Locked="false" Priority="48" Name="List Table 3 Accent 2"/> <w:LsdException Locked="false" Priority="49" Name="List Table 4 Accent 2"/> <w:LsdException Locked="false" Priority="50" Name="List Table 5 Dark Accent 2"/> <w:LsdException Locked="false" Priority="51" Name="List Table 6 Colorful Accent 2"/> <w:LsdException Locked="false" Priority="52" Name="List Table 7 Colorful Accent 2"/> <w:LsdException Locked="false" Priority="46" Name="List Table 1 Light Accent 3"/> <w:LsdException Locked="false" Priority="47" Name="List Table 2 Accent 3"/> <w:LsdException Locked="false" Priority="48" Name="List Table 3 Accent 3"/> <w:LsdException Locked="false" Priority="49" Name="List Table 4 Accent 3"/> <w:LsdException Locked="false" Priority="50" Name="List Table 5 Dark Accent 3"/> <w:LsdException Locked="false" Priority="51" Name="List Table 6 Colorful Accent 3"/> <w:LsdException Locked="false" Priority="52" Name="List Table 7 Colorful Accent 3"/> <w:LsdException Locked="false" Priority="46" Name="List Table 1 Light Accent 4"/> <w:LsdException Locked="false" Priority="47" Name="List Table 2 Accent 4"/> <w:LsdException Locked="false" Priority="48" Name="List Table 3 Accent 4"/> <w:LsdException Locked="false" Priority="49" Name="List Table 4 Accent 4"/> <w:LsdException Locked="false" Priority="50" Name="List Table 5 Dark Accent 4"/> <w:LsdException Locked="false" Priority="51" Name="List Table 6 Colorful Accent 4"/> <w:LsdException Locked="false" Priority="52" Name="List Table 7 Colorful Accent 4"/> <w:LsdException Locked="false" Priority="46" Name="List Table 1 Light Accent 5"/> <w:LsdException Locked="false" Priority="47" Name="List Table 2 Accent 5"/> <w:LsdException Locked="false" Priority="48" Name="List Table 3 Accent 5"/> <w:LsdException Locked="false" Priority="49" Name="List Table 4 Accent 5"/> <w:LsdException Locked="false" Priority="50" Name="List Table 5 Dark Accent 5"/> <w:LsdException Locked="false" Priority="51" Name="List Table 6 Colorful Accent 5"/> <w:LsdException Locked="false" Priority="52" Name="List Table 7 Colorful Accent 5"/> <w:LsdException Locked="false" Priority="46" Name="List Table 1 Light Accent 6"/> <w:LsdException Locked="false" Priority="47" Name="List Table 2 Accent 6"/> <w:LsdException Locked="false" Priority="48" Name="List Table 3 Accent 6"/> <w:LsdException Locked="false" Priority="49" Name="List Table 4 Accent 6"/> <w:LsdException Locked="false" Priority="50" Name="List Table 5 Dark Accent 6"/> <w:LsdException Locked="false" Priority="51" Name="List Table 6 Colorful Accent 6"/> <w:LsdException Locked="false" Priority="52" Name="List Table 7 Colorful Accent 6"/> <w:LsdException Locked="false" SemiHidden="true" UnhideWhenUsed="true" Name="Mention"/> <w:LsdException Locked="false" SemiHidden="true" UnhideWhenUsed="true" Name="Smart Hyperlink"/> </w:LatentStyles> <! [endif]--> <!--[if gte mso 10]> <! [endif]--> <!--StartFragment--> Jim Laymon first supported the FAA NAS Operational Support organization starting in 1987. He became an FAA employee in 1990 as a Computer Scientist, and the Airway Facilities Lead for Information Resource Management at the Technical Center. Jim moved to NAS Information Security in 2001, specializing in Identity Management. In 2016, Jim joined System Wide Information Management program, or SWIM, to become the Project Lead for Identity and Access Management (IAM) at the William J Hughes Technical Center. He has an undergraduate degree in Computer Science from Shippensburg University of Pennsylvania. Joseph Post is the Acting Director of Systems Engineering & Integration at the Federal Aviation Administration (FAA). Mr. Post has 35 years of experience in aerospace, defense, and civil aviation. He has worked at Sikorsky Aircraft, the Institute for Defense Analyses (IDA), Princeton Consultants, TRW, and The CNA Corporation. Immediately before joining FAA, Mr. Post was the military space analyst in the National Security Division of the Congressional Budget Office. Mr. Post earned a bachelor’s degree in Aeronautics and Astronautics from M.I.T., a master’s degree in Engineering and Applied Science from Yale University, and a master’s degree in Economics from George Mason University. Mr. Post is a co-inventor of three patents relating to helicopter flight controls, holds commercial pilot and remote pilot certificates, and is a senior member of AIAA. Joshua Holtzman is currently the Director for National Security Programs and Incident Response (AEO) at the FAA. He manages a cadre of highly-skilled professionals who operate the FAA’s 24/7 Washington Operations Center. He plans, coordinates and exercises the Center’s crisis management and emergency response and recovery capabilities; provides intelligence analysis and threat indications and warning to senior FAA leadership; and conducts regulatory and administrative investigations. Prior to assuming his position in March 2014, Mr. Holtzman was the AEO Deputy Director. He joined the FAA in 2009 and served as the Agency’s liaison to the Office of the Director of National Intelligence where he was instrumental in leading interagency efforts to improve the integration of Air Domain Intelligence across the Intelligence, Law Enforcement, Defense and Non-Title 50 communities and develop an Air Domain Awareness Community of Interest. Before joining the FAA, Mr. Holtzman worked for SAIC as a Senior Strategic Planner supporting the Global Maritime and Air Intelligence Integration Office within the Office of the Director of National Intelligence and co-authored a baseline study on Air Domain Intelligence Integration. He retired as a Captain in the US Navy in 2006 after serving more than 26 years. During that time, he served as an Air Intelligence Officer in Attack Squadron 34 on board USS America (CV 66) and as a Naval Flight Officer, completing multiple sea duty tours in maritime patrol squadrons and on board USS Kitty Hawk (CV 63). He commanded Fleet Composite Squadron Six, the Navy’s only Unmanned Aerial Vehicle (UAV) command and directed detachments that executed aerial reconnaissance missions from Navy amphibious warships in support of Operation Southern Watch over Iraq and ashore supporting Customs and Border Protection counter drug operations in the Gulf of Mexico. He served staff tours in Iceland and Virginia, directing and coordinating Anti-Submarine Warfare and Intelligence, Surveillance and Reconnaissance (ISR) operations with North Atlantic Treaty Organization (NATO) allies in the Atlantic Ocean. As Chief of Staff of Patrol Reconnaissance Forces, Fifth and Seventh Fleet, he coordinated command and control and logistical support to VP and VQ squadrons conducting combat and ISR operations in Afghanistan, Iraq and the Philippines in support of US and Coalition ground forces. Mr. Holtzman graduated from the University of North Carolina at Chapel Hill, receiving a Bachelor of Arts degree in History and was awarded a Master of Arts degree in Human Resources Development at The George Washington University’s School of Education. Ken Alexander has over 40 years of aviation experience, including positions in aircraft and avionics engineering, program management, flight test, and international policy. He provides technical advice on requirements, design, performance, radio-frequency spectrum and policy issues for Global Navigation Satellite Systems (GNSS). Mr Alexander provided oversight and addressed technical issues for area navigation, required navigation performance, space and ground based augmentation systems, and vision systems. Mr. Alexander’s significant contributions included protection of GNSS aviation receivers from spectrum interference, the development of interdepartmental GNSS policy and establishment of the National PNT Engineering Forum. Airlift Coordination Cell for Kosovo operations. Always an advocate for aviation safety, Ken established Terrain Awareness and Warning Systems (TAWS) as a requirement for all Department of Defense passenger-carrying aircraft. (NPEF) with the USAF GPS Chief Engineer. Mr. Alexander holds a Master of Engineering and Bachelor of Arts in Electrical Engineering from the University of Louisville and is a graduate of the Air Force Institute of Technology, Education with Industry program at The Boeing Company. Mr. Alexander is a recipient of the Secretary of Transportation’s Partnering for Excellence Award and the Secretary’s Silver Award for exceptional leadership in enabling the FAA’s NextGen program. Mr. Alexander was awarded the ICAO Certificate of Merit by the President of the Air Navigation Commission and received numerous medals and awards from his service as a U.S. Air Force Officer. At Unisys, Mark Cohn leads technology strategy and solution development for major U.S. Federal government programs. His job is to bring innovation that improves the mission impact of IT, to design capabilities that enable resilient business operations through enterprise transformation, and to help Unisys government clients deliver a safer and more secure connected world. Mark has directly supported a wide range of Federal clients. At US Customs and Border Protection (CBP), he is currently the Program Manager for Unisys with the Targeting and Analysis Systems Program Directorate (TASPD) responsible for developing and maintaining software systems that incorporate intelligence information, analytical models, and biometrics to verify identity and target suspect inbound and outbound passengers and cargo shipments at the nation’s air, land, and sea borders. Past clients included CBP’s Border Enforcement Management Systems Division, DoD Counterintelligence Field Activity, Department of Homeland Security US-VISIT, Executive Office of the President, Transportation Security Administration, and Federal Aviation Administration. Mark’s corporate governance role includes investment management for both vertical industry solutions and technology products. He leads initiatives related to innovative technology, secure enterprise solutions and trusted connectivity such as sponsoring the international Common Criteria evaluation of Unisys products and participation in the NSA Commercial Solutions for Classified program. In previous assignments, Mark was chief architect for Unisys Global Public Sector and led Enterprise Security for Unisys globally with responsibility for security solutions and services programs across the company and for directing the U.S. based enterprise security practice. Mark is an expert in the design and implementation of trustworthy, highly available distributed systems. He began his career at Unisys in 1985 as a senior systems programmer on fault-tolerant systems used for aviation infrastructure management and was the principal designer and chief engineer for Unisys on the FAA’s Remote Maintenance Monitoring System, lead designer of the software and implementation program for the Maintenance Management System, and a number of related rapid prototyping software development projects after having first created the first master schedule for the 1984 National Airspace System Plan. Mark was educated at MIT, the University of Maryland in College Park, and American University in Washington DC. He holds a master’s degree in management of technology. Mark has for years been active in government-industry liaison representing Unisys on Defense Industrial Base cybersecurity and AFCEA International’s Technology Committee serving the defense, homeland security, and intelligence communities where as chair for emerging technologies he organized in 2016 what has become the highly successful Technology Vectors program. He coordinates Unisys participation in the President’s National Security Telecommunications Advisory Committee (NSTAC) contributing to task forces and subcommittee reports on identity issues, internet resilience, and emerging technologies. He was honored in 2013 with the prestigious Federal 100 Award recognizing significant contributions to Federal information technology. Melanie Boteler is a graduate of Bucknell University and has been in the Information Technology / Information Security field for 30+ years. Initially, she worked in private industry, to include a Fortune 500 company, before joining the Federal Government as a Computer Specialist. Her Federal career includes time at both the Treasury Department and the Federal Aviation Administration (FAA), where she worked in both the Air Traffic and Aviation Safety organizations, providing security leadership and strong security acumen. She is currently the FAA Chief Information Security Officer (CISO) and Director, Information Security and Privacy Service. Included as part of her responsibilities, is the DOT/FAA Security Operations Center (SOC), which operates 24x7x365. She holds an Information Technology Infrastructure Library (ITIL) Foundation Certification, is a Certified Information Systems Security Professional (CISSP), and resides near Annapolis, Maryland with her husband and daughter. Mischel Kwon is the founder and CEO of MKACyber. She brings a rare blend of hands-on experience, academic research, and training and a seasoned understanding of how to build security operations organizations from inception. Mischel has more than 35 years of broad IT and security experience, ranging from application design and development, to network architecture and deployment, to building and implementing security operations centers, as she did when she built the first Justice Security Operations Center (JSOC) to monitor and defend the Department of Justice network against cyber threats while serving as the Deputy Director for IT Security Staff at the United States Department of Justice. Prior to starting MKACyber, Mischel served as Vice President of Public Sector Security for RSA Security, where she was responsible for leading RSA Security in assisting the public-sector security solutions, strategies, technologies and policy. Before RSA Security, Mischel served as the Director for the United States Computer Emergency Readiness Team (US-CERT), where she spearheaded the organization responsible for analyzing and reducing cyber threats and vulnerabilities in federal networks, disseminating cyber threat warning information and coordinating national incident response activities. Mischel holds a Bachelor and Master of Science, Computer Science and a graduate certificate in Computer Security and Information Assurance. She currently sits on the board of the Western Governors University IT Council and previously served as an adjunct professor at The George Washington University in Washington, D.C., where she also ran the GW Cyber Defense Lab. Pete will give this year's welcome, opening remarks, and closing remarks. Peter F. Dumont’s career of more than 30 years in aviation ranges from his beginnings as an US Navy air traffic controller, to Chief Operating Officer (COO) of the North American sector of a $3 billion defense contracting services company, and now as President and Chief Executive Officer (CEO) of the Air Traffic Control Association (ATCA). After retiring from the Navy, Mr. Dumont began his private sector career with Serco, Inc. where he served as both Vice President of Aviation and later COO. During his tenure, he oversaw multiple lines of business. His responsibilities included airport management contracts, air traffic control (ATC), ATC equipment installation, meteorology, weather observation, ATC engineering, control tower fabrication and installation, air traffic management (ATM), labor relations, business development, and a number of non-aviation related contracts and corporate management functions. A recognized expert in the field of aviation, Mr. Dumont has been published in a number of ATM-related articles and provided interviews. He is regularly requested to keynote aviation events and appear on discussion panels. 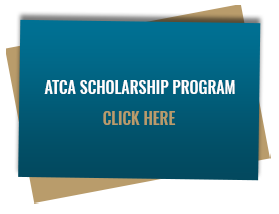 Today, as President and CEO of ATCA, Mr. Dumont serves a membership of nearly 3,000 in all aspects of the ATC/ATM community. He interacts and collaborates daily with Fortune 500 companies as well as government executives to develop strategy and policy for the future of ATC/ATM. In addition to sitting on several Boards of Directors, Mr. Dumont is the President of the Institute Management Council (IMC) supporting the Federal Aviation Administration (FAA). He holds a Bachelor of Science in Professional Aeronautics and Master of Science in Aviation/Aerospace Management, both from Embry-Riddle Aeronautical University. Phil Harvey is a Principle Engineering Fellow and is the Technical Director for the Cybersecurity and Special Missions business within Raytheon Intelligence, Information and Services. Harvey has over 25 years of experience in system design, integration and testing of cybersecurity, communications, and ISR (intelligence, surveillance and reconnaissance) systems. He has spent the past six years developing and leading a variety of strategic initiatives within Raytheon aimed at helping international, federal, civil, and government customers solve their toughest cyber challenges. Harvey has led cross-corporation internal research and development (IRAD) activities, including the development of cyber hardening and dynamic cyber defense tools and capabilities. With his technical leadership, Harvey directed cybersecurity strategies and investments that drove the growth Raytheon's cyber business. Harvey has a bachelor of science in electrical engineering and computer science from the University of California, San Diego. He is currently pursuing a Masters of Engineering in Cybersecurity Governance and Policy at George Washington University. Harvey has been a resident of Virginia since 1990, and currently resides in Aldie, VA.
Richard Morgan was named as the Director for the National Enterprise Operations (NEO) Directorate in October 2013. In October of 2016, National Enterprise Operations became National Airspace System Security and Enterprise Operations (NASEO) after two-thirds of the Air Traffic Organization (ATO) cyber security functions, a new Resiliency function for NAS services and the establishment of three Enterprise Control Centers in support of the new NAS services was established within the Directorate. NASEO is one of the six Technical Operations Directorates and is comprised of seven groups with a NAS operations focus. NASEO provides collaborative operational management and coordination of NAS infrastructure events at the National level. As Director of NASEO, Richard is responsible in providing executive level direction and managerial oversight to approximately 875 FAA employees and contractor support. Richard has 31 years of FAA field and headquarters experience. Richard held several HQ and Field management positions within the FAA since 1999. Robert Segers, Information security architect, Federal Aviation Administration, ANG-B3 - Enterprise Safety and Information Security Division. I am responsible at the FAA for IP services and security systems engineering and architecture. Prior to the FAA I have worked for over twenty years in the electronics, automation and telecommunication industry. My current project is to support the Cyber Security and IP services approach for RTCA SC-223 Air-Ground communication and the ICAO INNOVA taskforce. Silpan Patel is the Deputy Director of Cyber Strategy and Execution at MITRE, where he drives the strategic vision and integration of cyber R&D across all of MITRE's FFRDCs and customer portfolios. He leads the Cyber Artificial Intelligence Laboratory (CAIL), an online platform to accelerate innovation and impact for MITRE's stakeholders. Prior to joining MITRE, he led a large portion of the cyber S&T organization at Sandia National Laboratories (SNL), where he established the Cyber Resilience R&D organization to explore engineered, operational, and quantitative resilience for cyber systems. He has led strategy development and execution of multi-discipline R&D programs integrating cyber, RF, and AI/ML for DOD and civilian organizations across the US government, with technology platforms in underwater, terrestrial, airborne, and space architectures. Steve will give this year's opening remarks, and closing remarks. As principle engineer for information security, Steve Carver is CSRA’s Security Manager for the FAA’s Cloud Service, which provides security oversight for the FAA Cloud Services (FCS) infrastructure, network and overall design. He provides direct technical support and oversight in the system’s design, implementation and configuration, as well as test solutions to safeguard the CSRA network security. Mr. Carver previously served as the Senior Cyber Security Consultant with Aviation Management Associates, Inc. During his tenure, he worked with aviation clients supporting the FAA, Air Navigation Service Providers (ANSPs), and critical infrastructures through concepts on business development, regulatory and service challenges. In addition, he analyzed cyber impact on operations and developed security architecture, security management and assurance. Mr. Carver spent 36 years serving the FAA, holding positions including National Airspace System (NAS) Engineering; certification positions in Navigational Aid/Communications; NAS En Route Automation; Telecommunications for the National Airspace Interchange Network (NADIN); NAS Operations Manager; and finally, as Information System Security Manager for the NAS. While there, he was responsible for the information security program for one of the nation’s critical infrastructures – the NAS; he reviewed NAS architecture requirements and oversaw the Security Accreditation and Certification Program of all NAS systems: its operations, support and outreach. He also managed real time risks of all operational systems while ensuring high availability of air traffic services for the flying public. Prior to his work with the FAA, Mr. Carver served as an avionics technician for the Department of Defense (DOD) at the Naval Air Rework Facility in Norfolk, Va., where among other systems, he analyzed and repaired Naval aircraft avionics voice communications, Radio Detection and Ranging (RADAR) and Instrument Landing Systems (ILS). In addition, he is a member of ATCA, the Information Systems Audit and Control Association, and the National Defense University’s Information Resource Management College Alumni Association.